Fashion With A Conscience has moved. Visit www.fashionwithaconscience.org: Just because we love it! 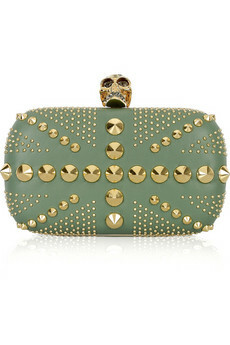 Brittania Punk leather box clutch by Alexander McQueen, $1,495 Net-a-Porter. Seeing the Savage Beauty exhibit reaffirmed our love for Alexander McQueen's work. The Metropolitan Museum of Arts opened a window into the soul of the tortured artist. 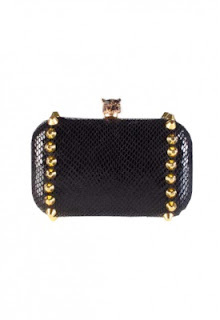 Like in the exhibit this clutch puts on display the opposition between light and darkness, good and evil, softness and hardness with McQueen's genius know-how. 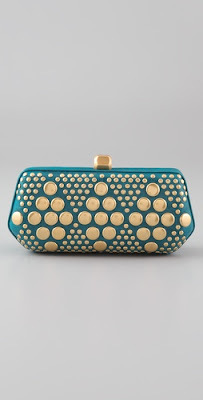 The gold accents make this clutch extra chic and can easily dress up any outfit. We highly recommend everyone to see more of McQueen's work at the Met. It is pure magic! 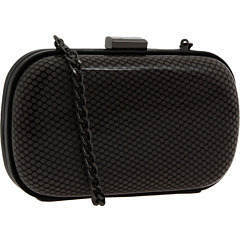 Fling clutch by Rebecca Minkoff, $350. ShopBop.